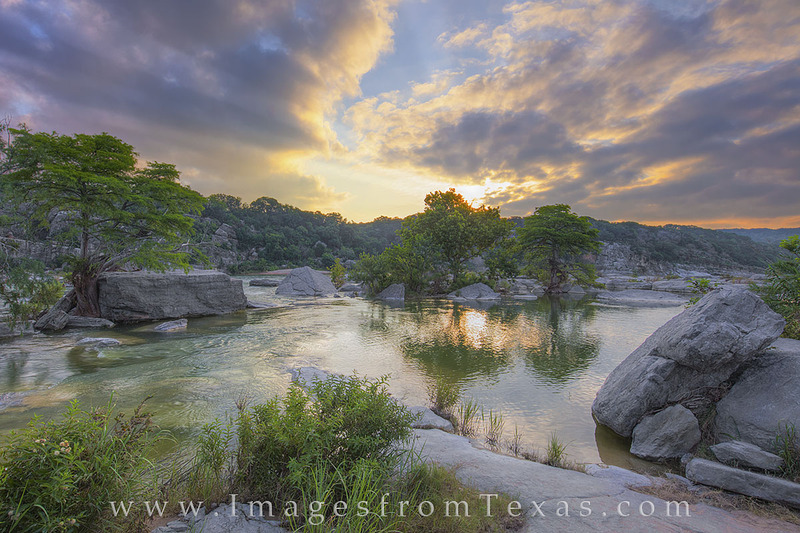 The clouds were moving in over the Pedernales River on this warm morning, but enough sun broke through to send rays of light across the sky for a fleeting moment. This is one of my favorite locations in the Texas Hill Country, and I often return here just for the quiet of a beautiful sunrise. Photo © copyright by Rob Greebon.